"This 608-page combined volume covers some of Victor's rarest and most sought-after 78 records, including the Depression-era 'hot dance', race, and country-music series. 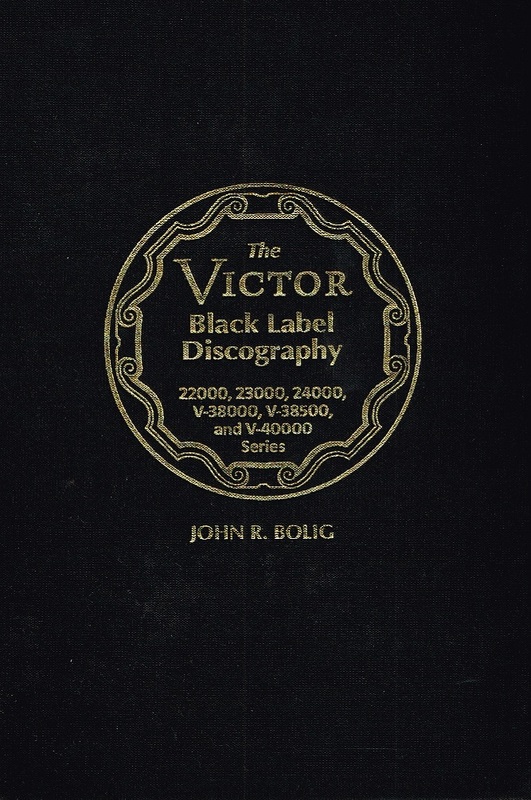 Like all volumes in the Victor Discography, this one is compiled from the original Victor and Gramophone Company files, correlated with the original catalogs, supplements, and discs. 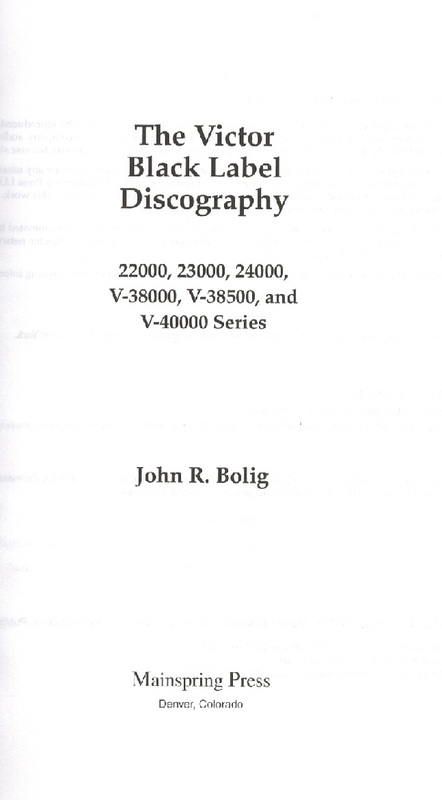 Includes introduction, user's guide, and artist and title indices. What distinguishes this discography is that the information originates entirely from original sources... It's simply a 'must-have' reference for the collector, discographer, and institutional librarian."